Watch Fernando Alonso storming down the straights, cool and confident in his homeland, cheered on by his adoring countrymen. Barcelona offers the perfect Mediterranean weekend getaway, combined with the thrill of F1, as it arrives in Europe for the first time in the new seasons. 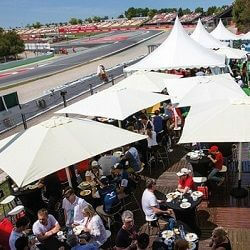 When it comes to Barcelona F1 hospitality, we have wide ranging options to suit everyones budget. As part of our Barcelona Grand Prix hospitality packages, stay in the Hotel Arts or the W Hotel. Glory in the Spanish night life, dine in the best restaurants and allow us to organise luxury ground or helicopter transfers. 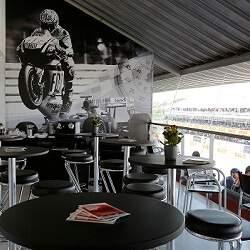 The Gold suites are located in front of the pit lane, the pit garages and the main straight of …. Silver Member viewing offers a great middle-option between normal grandstand seating and the co….